High Turbulance aka High Turbulence on VHS video. 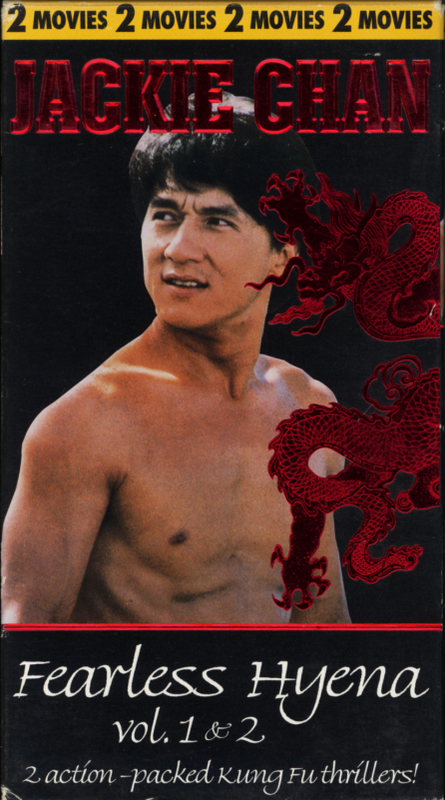 Starring Jackie Chan, Samo Hung, Yuen Biao, Deannie Yip, Pauline Yeung, Crystal Kwok. Directed by Samo Hung. A Lawyer Who Knew Too Much! The waist disposal from a chemical plant is killing the local fish farm business. Yvonne the owner of one of the farms threatens to go to the authorities if something is not done. The plant owner hires a slick lawyer to take care of the problem. Things heat up when Jackie falls for Yvonne’s one and only witness. Jackie Chan learns that the real purpose for the plant is not waist but drugs. All hell breaks loose when Jackie takes on the drug dealers. 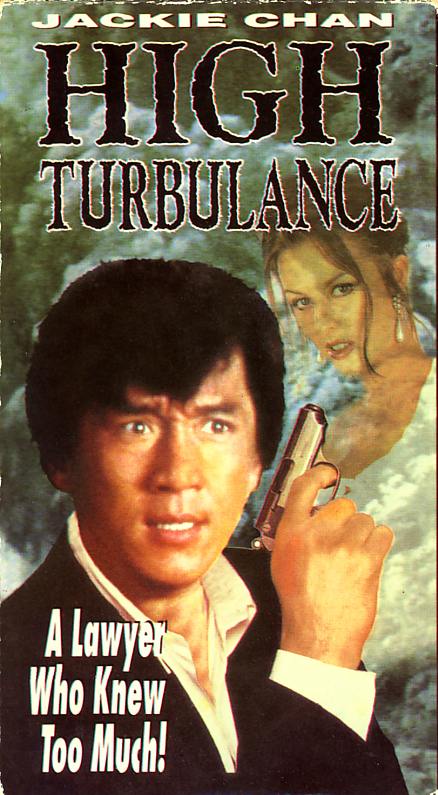 Not only was High Turbulance or High Turbulence not found on DVD, but this homemade VHS switches to another movie about halfway through, so you probably should not buy it. No product link found for Jackie Chan waist disposal either. Jackie Chan Fearless Hyena Vol. 1 & 2 on VHS video. Two Tape Set. Starring Jackie Chan. With Dean Shek, James Tien. Fearless Hyena aka “Xiao quan guai zhao” directed by Jackie Chan, Kenneth Tsang. 1979. Fearless Hyena 2 aka “Long teng hu yue” directed by Chuan Chen. 1983. 2 Action-Packed Kung Fu Thrillers! See the Kung Fu movies that set new standards in high flying karate action! Bruce Lee, step aside, Jackie Chan’s in town. He’s the new king of karate and he’ll let his fists do the talking. Jackie’s the fearless action hero with a wry sense of humor. Follow him on two action-packed adventures, as he strikes a blow against evil and the merciless Kung Fu masters who murder all those who would oppose their lethal ways. Now they’ve met their match and heads are going to roll! Look out for Jackie Chan, he’s mad as hell and “vengeance” is the Hyena’s only aim. New Fist of Fury and Snake Fist Fighter on VHS video. Two tape set. Starring Jackie Chan. New Fist of Fury (Jackie Chan credited as Chen Yuen Lung) with Ming Cheng Chang, Shen Lin Chang. Directed by Wei Lo. 1976. 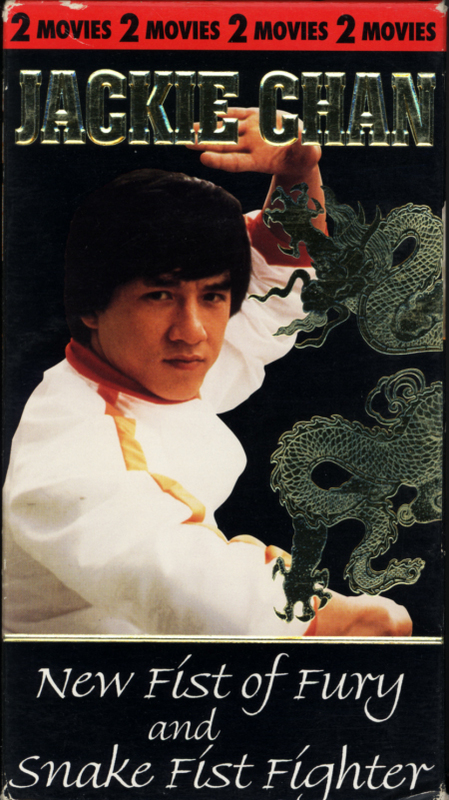 Snake Fist Fighter with Siu Tin Yuen, Dean Shek, Kwok Choi Hon. Directed by Mu Chu. 1971. Marshall arts master, Jackie Chan, strikes a blow for freedom in this two fisted, hard hitting karate thriller. When evil Japanese invaders try to muscle out all the competing karate schools in Taiwan and Shanghai, it’s Jackie to the rescue! In a new twist to the plot, Jackie plays a good-natured petty thief who’s recruited by the beautiful young Chinese granddaughter of a slain Kung Fu master. Reluctant to take sides at first, Jackie soon learns that it’s kill or be killed! Under the granddaughter’s expert tutelage Jackie hones his karate skills, then leads his fellow countrymen in a fight to the finish! Kung Fu master Jackie Chan stars in this action packed martial arts thriller. Local store owners seek the help of Jackie to protect them from a greedy Chinese extortion ring. Tempers reach the boiling point when Jackie discovers that the crime King pin behind the extortion scheme killed his father years before. With fists that strike with the deadly speed of a coiled snake, Jackie seeks revenge. If you’re a fan of Kung Fu, you’ll love this super-charged crash, boom, bang karate saga. Bruce Lee, step aside, Jackie’s in town!